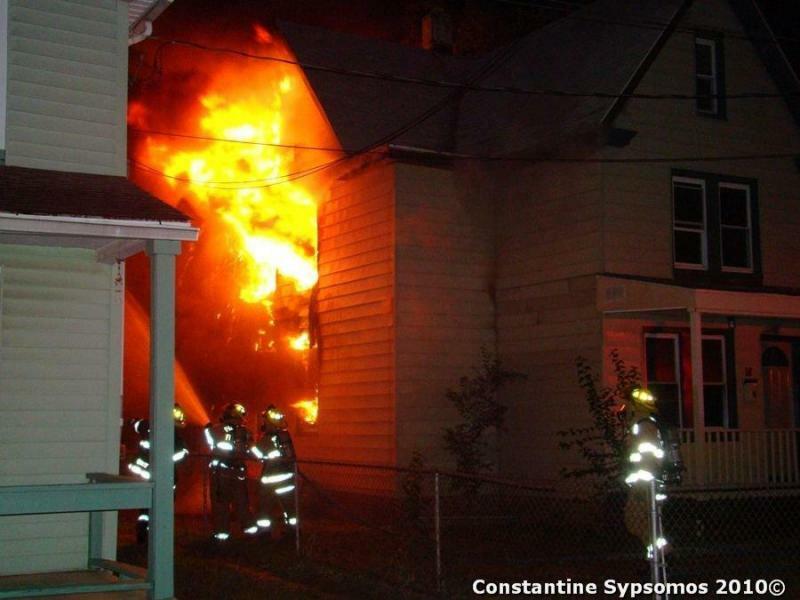 WORKING HOUSE FIRE ON BUCK ST.! 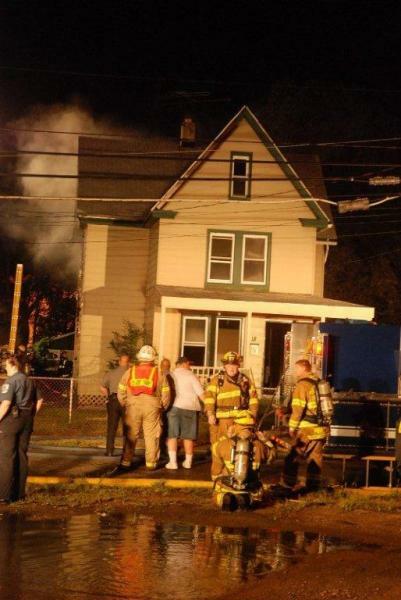 The Paulsboro FD was called out to a working house fire on W. Buck St. early this morning, around 2 a.m. The first officer on the scene, Asst. 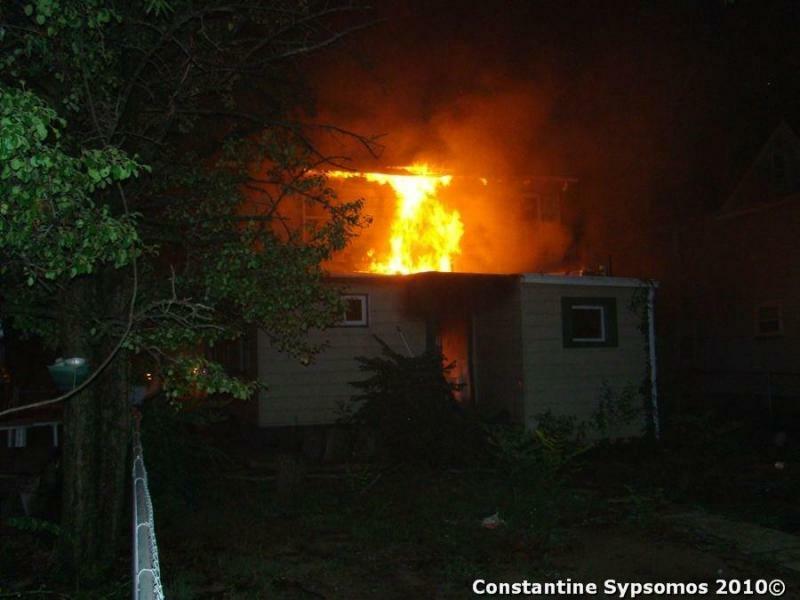 Chief Al Giampola (1703), reported a fully involved vacant dwelling. Fire Chief Mike Licciardello (1701) also arrived and assumed IC (Buck St. Command). 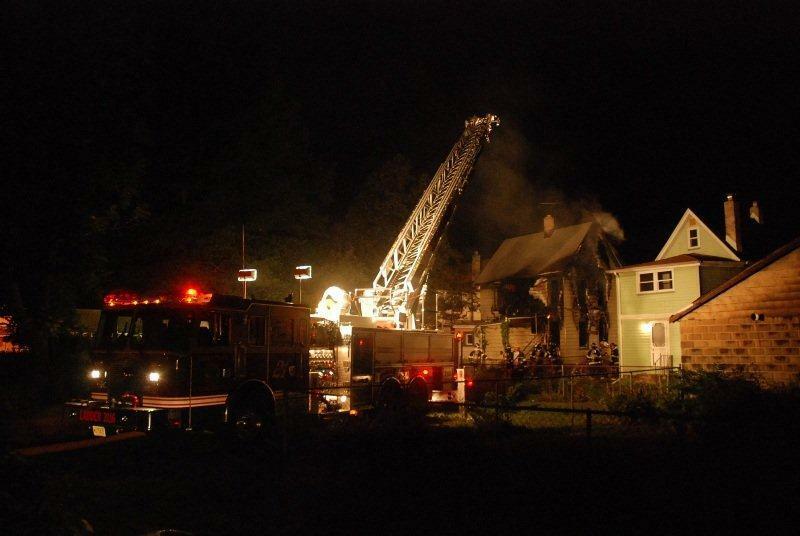 Engine 1721 & Ladder 2116 (Gibbstown) were the first apparatus's on location. 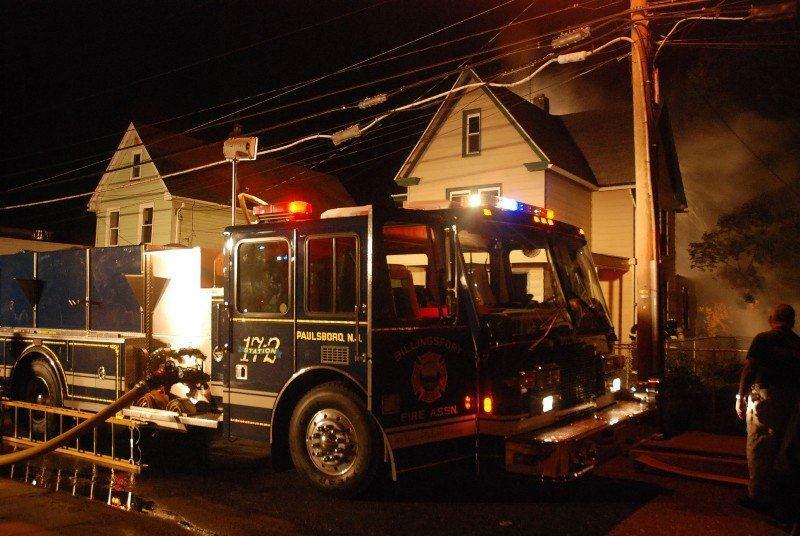 Engine 1721 was on Buck st. and went into service with attack lines. 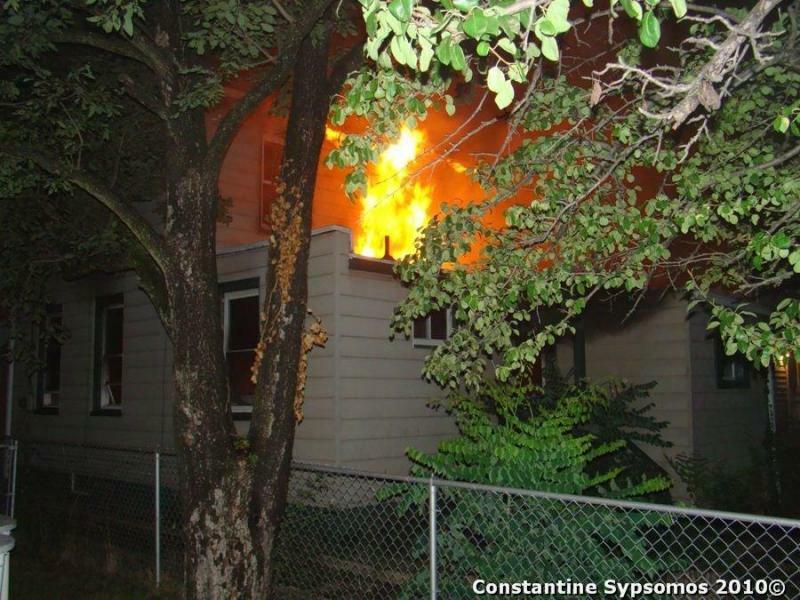 Ladder 2116 went into service in the rear of the dwelling (behind the Hill Theatre) initially with attack lines and later a master stream. 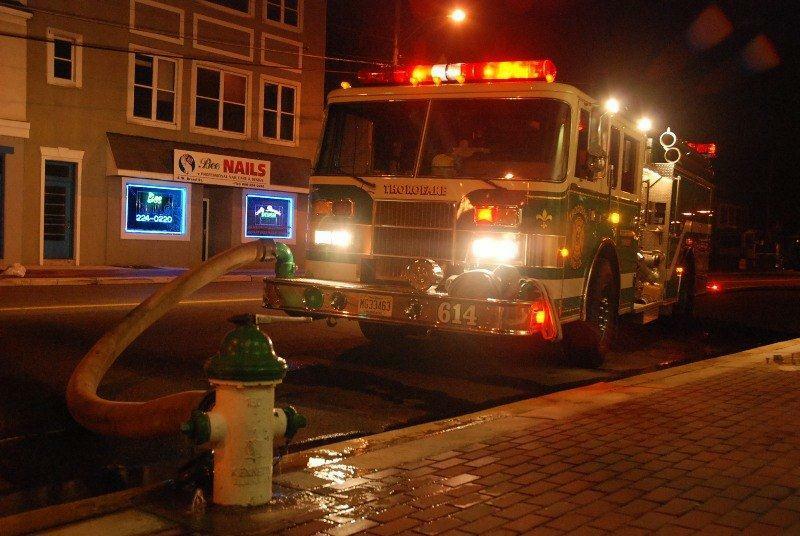 Engine 614 (Thorofare) supplied water to 2116 from a hydrant on Broad St. Engine 1711 supplied water to 1721 from a Buck St. hydrant. 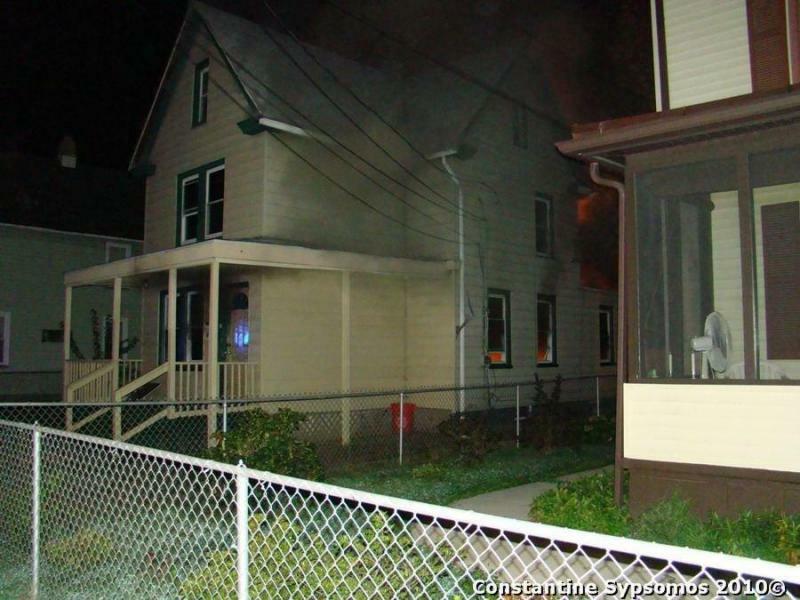 Fire crews went into a defensive mode fighting the fire and protecting exposures. 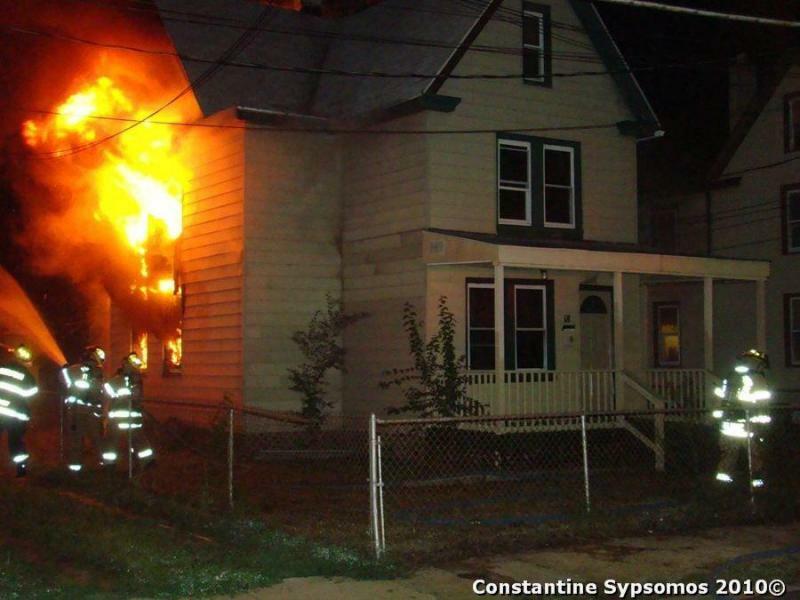 Most of the fire was in the rear of the house. 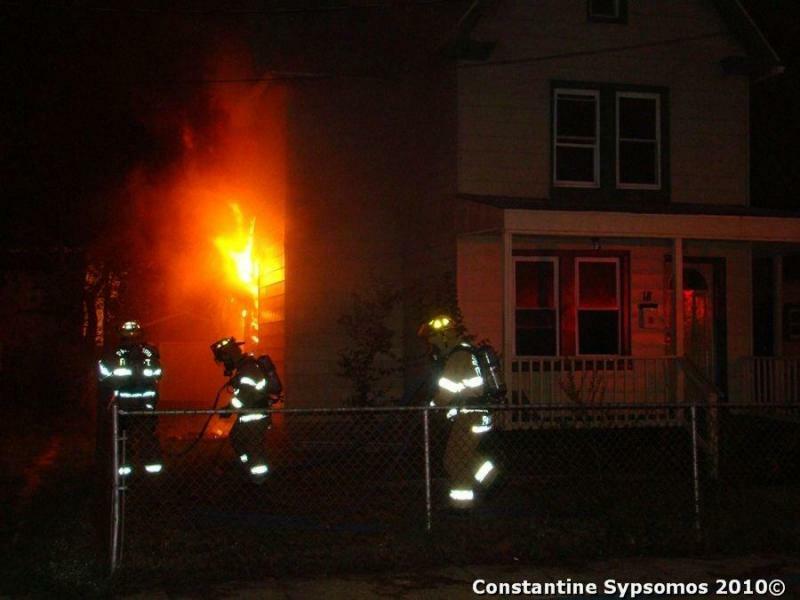 The fire was declared under control around 4 a.m. Other crews on the scene were District 19 (East Greenwich), Sta. 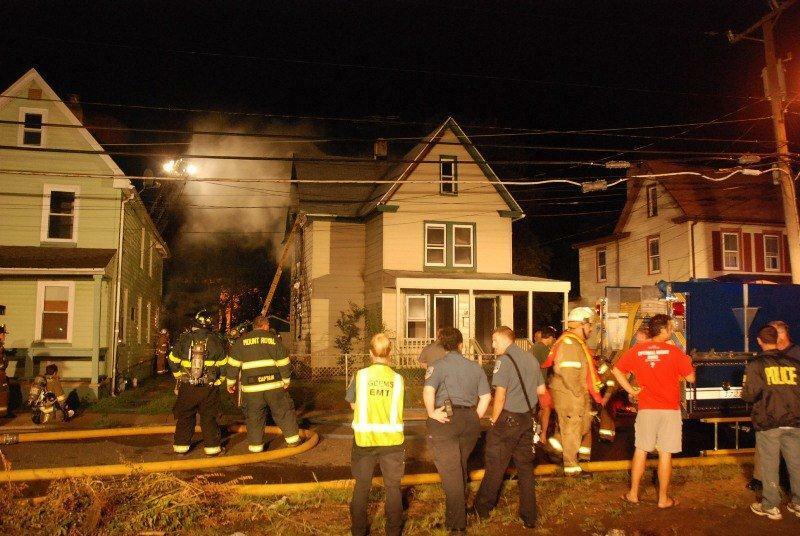 25-1 (Woolwich) which was the RIT Team, and a Canteen Unit from Cherry Hill. 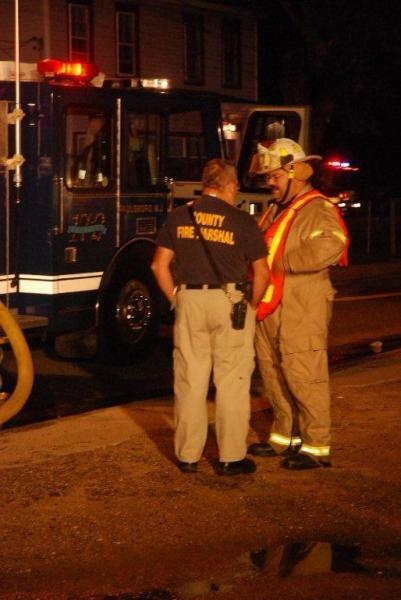 The County Fire Marshal was on the scene investigating it as a possible arson fire.